Can a Bank be held deficient in services if its ATM does not dispense Cash for the reason “Cash not available”? 2) failure of internet connectivity is not within its ambit, rather it is upon the internet service provider against whom, any complaint if any, should lie. The Forum countered SBI by saying that when Banks are charging for usage of ATMs for a whole year in advance and a client is Free to use any ATM he automatically becomes a customer. The second point was countered with the reasoning that when the ATM itself was showing “No Cash Available” on 3 different dates and times how it can be a case of internet failure? 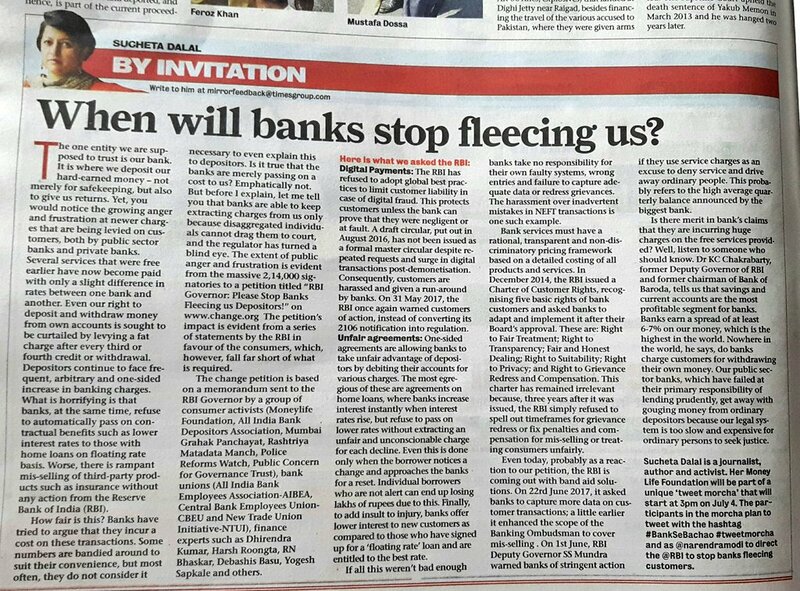 Moreover, when customers are penalised for no balance or less than minimum balance in their accounts, how can a Bank get away with no cash in the ATM? It being the first such judgement for ATM failure, it is expected to generate a lot of interest in the matter. The incident happened in May 2017, complaint filed in June 2017 and the verdict was passed recently. It’s a reminder to our banker friends here to be more careful in loading Cash in ATMs especially before consecutive holidays to escape such penalty as well as customer dissatisfaction. Posted on December 31, 2018 Categories Banking, Consumer Law and CasesLeave a comment on Can a Bank be held deficient in services if its ATM does not dispense Cash for the reason “Cash not available”? 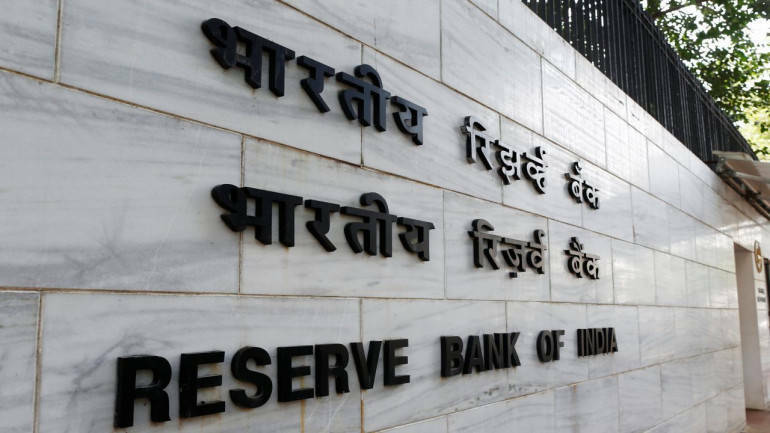 The Reserve Bank of India has cautioned citizens against a fake website which is fraudulently taking personal and confidential banking details of bank customers posing as the central bank. “It has come to the notice of the Reserve Bank of India that a fake website of the Reserve Bank of India has been created with the URL http://www.indiareserveban.org by some unknown person(s). The layout of the fake website is similar to the original RBI website,” RBI said in a statement on its website. The official website of the RBI — India’s central bank — is https://www.rbi.org.in and it holds no other website. The home page of the fake website also contains a provision for “Bank verification with online account holders” which appears to have been created with a fraudulent intent of obtaining personal and confidential banking details of customers of banks, it added. “The Reserve Bank cautions members of public that responding online on such websites could result in compromising crucial personal information that may be misused to cause financial and other loss to them,” the banking regulator clarified. Over past years, RBI has been consistently alerting customers about the fake websites, emails asking to transfer funds or for bank account details in the name of a lottery, fictitious job offers in the name of RBI jobs, etc fraudulently luring and cheating customers and that one should not fall prey to it. Further, members of public are also cautioned about existence of websites such as www.rbi.org, www.rbi.in etc. These URLs may appear similar to the website of RBI. However, these websites have no affiliation with the Reserve Bank of India. Members of public are advised to be cautious while accessing or when providing any information on such sites. 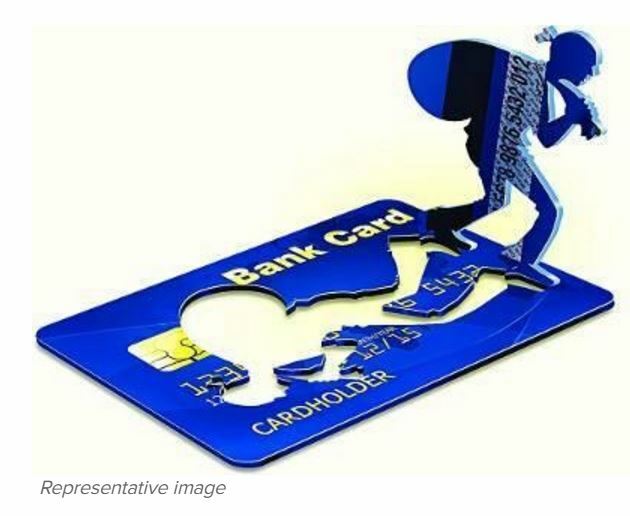 Three people, with basic information about a 38-year-old woman’s credit card, cheated her of Rs 29,000 recently employing a new form of vishing. The woman, an architectural consultant, registered an FIR with Vile Parle police. Around 11.30am on August 5, the consultant received a call from one Neha, claiming she worked with ICICI’s credit cards division and was aware the consultant’s credit card was to expire later this month.She also knew the new card had been couriered. “I believed Neha to be a genuine employee. She told me reward points worth Rs 9,000 had accumulated on my existing card and would expire unless transferred to my account as an excess credit balance. When I consented, the call was transferred to one Roshan Sharma, who posed as an employee of Payback, a customer loyalty rewards programme,” the consultant said. Payback has tie-ups with a few banks, its reward points can be used for shopping. Under the pretext of verification, the accused got the consultant to part with all her card details.The line was transferred between Neha, Roshan and a third associate. “Neha told me money would be credited in two or three instalments,” the consultant said. When Rs 14,365 was debited, she asked Neha what was wrong. “Neha said there was a problem with completing the point transfer. She said Rs 14,365 would be reversed to my account only if I gave details of another Payback-linked card. I gave details from my Bank of India debit card. Another Rs 14,415 was debited. I shouted at them, but they assured me the sum would be reversed into my account,” she said. Roshan gave her the genuine address of Payback’s Mumbai office. “When they asked for details of a third card, I decided I had enough. I warned them I was going to the police. But they said cops couldn’t touch them,” she said, adding she was on phone with them for 90 minutes. “The money went to an IDEA digital wallet and must have been spent by the accused. Had it gone to a bank account, we could have easily traced them,” a cop said. Posted on August 11, 2017 Categories Banking, Credit CardsLeave a comment on Beware : Vishing Scam! 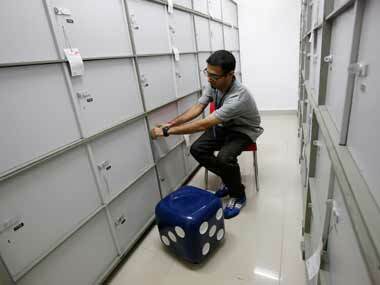 Banks NOT responsible for theft of valuables from Bank Lockers! Stung by the revelation, the lawyer who had sought information under the transparency law has now moved the Competition Commission of India (CCI) alleging “cartelisation” and “anti-competitive practices” by the banks in respect of the locker service. Even under the RTI response all public sectors banks have washed their hands of any responsibility. According to the information availed by the lawyer, the unanimous reason given by the 19 banks, including Bank of India, Oriental Bank of Commerce, Punjab National Bank, UCO and Canara, among others, is that “the relationship they have with customers with regard to lockers is that of lessee (landlord) and lessor (tenant)”. The common feature of all locker hiring agreements states, “As per safe deposit memorandum of hiring locker, the bank will not be responsible for any loss or damage of the contents kept in the safe deposit vault as a result of any act of war or civil disorder or theft or burglary and the contents will be kept by the hirer at his or her sole risk and responsibility.Some banks, in their locker hiring agreements, have made it clear that any item stored in the locker is at the customer’s own risk and he or she may, in their own interest, insure the valuables. “While the bank will exercise all such normal precautions, it does not accept any liability or responsibility for any loss or damage whatsoever sustained to items deposited with it. Accordingly, hirers are advised in their own interest to insure any item of value deposited in a safe deposit locker in the bank,” they have said. Aggrieved by the responses, the lawyer — Kush Kalra — raised questions before the CCI — why not just keep the valuables at home after insuring them, instead of paying rent to the bank for a locker when it is not going to take any responsibility for the contents. He further alleged that all these banks, also including State Bank of India, Indian Overseas Bank, Syndicate Bank, Allahabad Bank and others, have formed a “cartel” to indulge in such “anti-competitive” practices. He further alleged that the bank by forming an association or cartel are “trying to limit the improvement of services which is directly affecting the competition in the market and interests of the consumer”. Posted on June 26, 2017 Categories BankingLeave a comment on Banks NOT responsible for theft of valuables from Bank Lockers! Banks sometimes disregard the RBI circulars and even the pro vision of law, and overcharge consumers or harass them. An aggrieved consumer can fight for his rights and get justice under the Consumer Protection Act. Case Study: Neelam Pansari had given premises to State Bank of India on lease for a period of five years. Against this, he had also obtained a loan of Rs15 lakh from the bank, which carried interest at 15% pa.The loan was to be repaid by depositing 87% of the rental earned each month. When the lease expired, it was renewed for another five years, but the bank hiked the interest rate on the loan to 16% pa, compounded quarterly . Pansari wrote to the bank against this increase. The bank replied that the issue had been referred to the Reserve Bank of India (RBI) and a decision would be taken soon. Meanwhile, Pansari kept paying interest at the increased rate. He later came across a circular issued by the RBI which stated that there would be no change in the interest rate of loans sanctioned prior to November 16, 1990. He informed State Bank about this circular, pointing out that that the change in interest rate was not applicable to him as his loan had been sanctioned on November 5, 1990. Since the State Bank did not respond, Pansari sought a clarification from the Reserve Bank, which confirmed that the revision in interest rate was not permissible. Pansari pointed out that he had been overcharged Rs 3,01,599.50 due to the increase in the interest rate. Pansari approached the Banking Ombudsman who partly upheld his contention. As Pansari was not happy with the Ombudsman’s decision, he approached the Bihar State Consumer Commission. The bank contested the complaint. It upheld the bank’s contention that while renewing the lease it was entitled to revise the interest rate and also calculate the interest on compound basis with quarterly rests. Pansari appealed to the National Commission, which observed that RBI had communicated in November 1995 that banks would not be entitled to charge interest at quarterly rests in respect of loans availed for payment of rents of premises taken on lease. The reason for this is that the interest on the loan should not exceed the lease rent. If compound interest is permitted, the expense by way of interest would be more than the income from rent, leaving a landlord in perpetual debt. To prevent such a situation, the RBI has not permitted charging of compound interest for loans against leased premises. Accordingly, by its order of May 12 delivered by M Shreesha for the bench presided over by Justice D K Jain, the National Commission held State Bank liable for deficiency in service, and ordered it to refund the excess amount of Rs 3,01,599.50 along with simple interest at 9% pa. Additionally Rs10,000 was awarded as litigation costs. Four week’s time was given for compliance of the order, else it would carry 12% interest for the period of delay . Conclusion: Banks must be service oriented and not harass consumers.